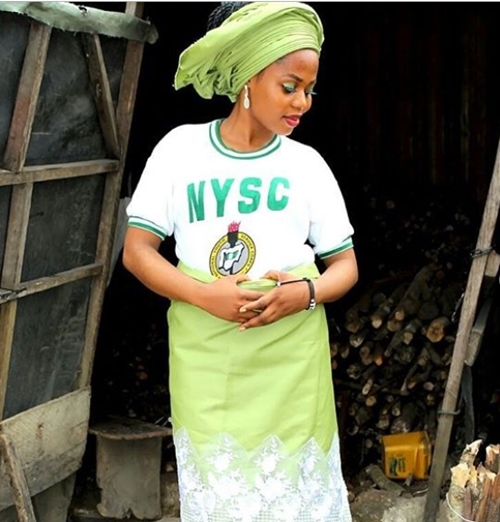 A young lady who is currently serving her fatherland in the National Youth Service Corps (NYSC) scheme, has taken to her Instagram page, @beautyfaithbeautyfaith, to share some photos where she made a bold fashion statement while celebrating her birthday in style. 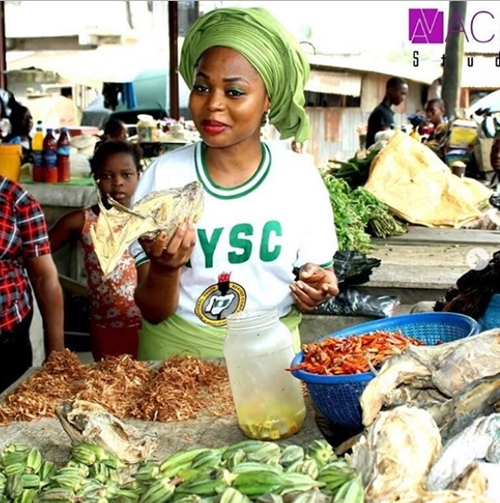 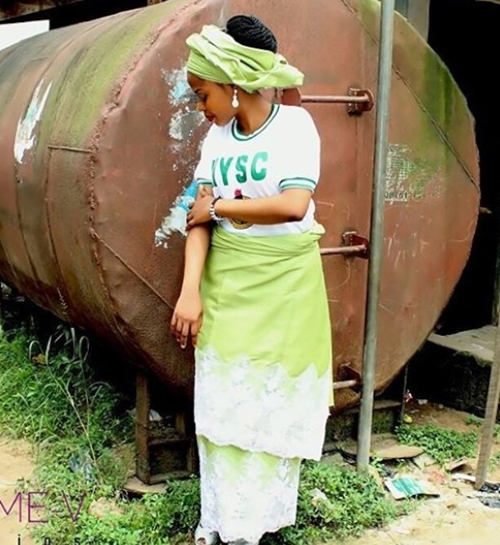 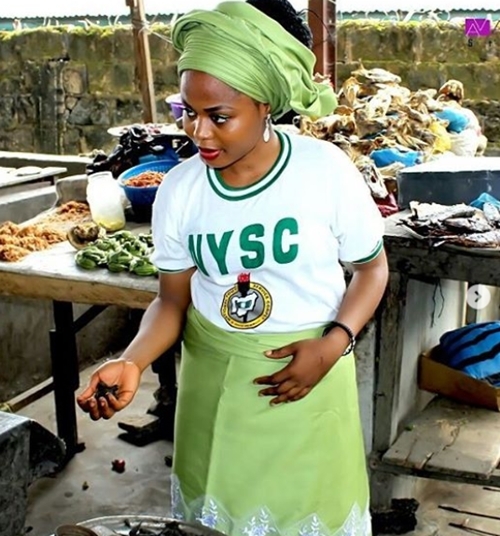 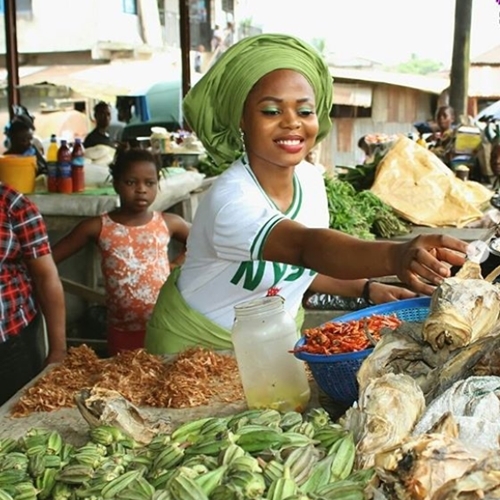 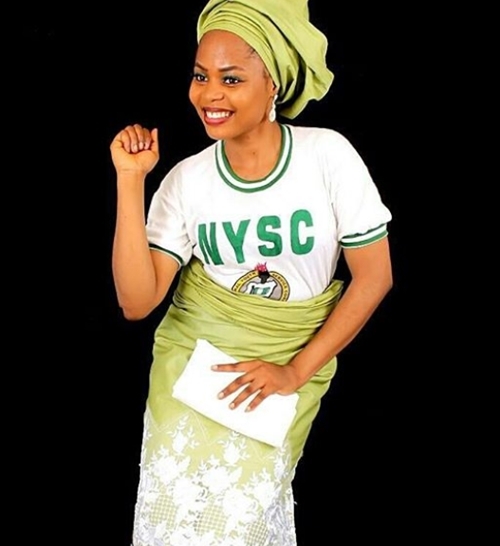 The young lady who is currently trending on social media after her birthday photos emerged online, was seen in the images rocking her NYSC uniform which she converted into a traditional attire. 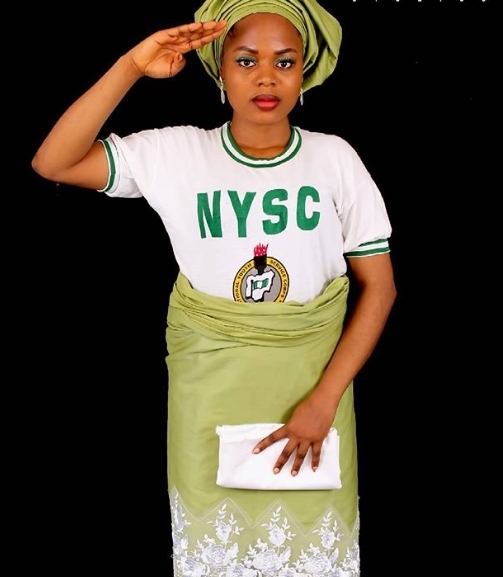 The female corps member who used her NYSC uniform to pose for her birthday photoshoot, looked delectable in her wrapper and blouse. 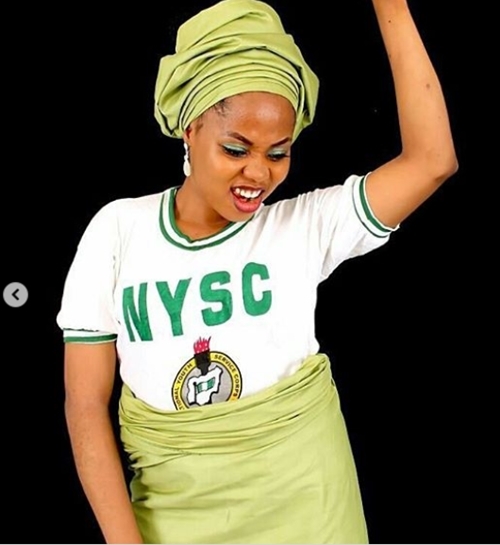 The photos have internet users admiring her for being bold and daring.